Donald Burnham wasn't going to let the brand-name appliance business go easily. Westinghouse's top executive had put up little resistance when several smaller, unprofitable ventures that were started during his tenure were pushed from the corporation's hands. Low-income and military housing. Water treatment plants. A direct mail-order and record club business. The conglomerate he had spent a decade building was starting to be reined in. Westinghouse was run by scientists and engineers and they believed they could do anything. But the corporation's ambitions had spread too far afield -- there were now 135 divisions -- and they needed reining in. But dumping appliances? That was going too far. This, after all, was a business started by George Westinghouse. It did $600 million a year in sales. Its slogan of, "You can be sure if it's Westinghouse," was the corporation's signature, defining it for the world and for many Westinghouse workers, too. If it pulled out of appliances, Westinghouse would be signaling that it was willing to abandon its roots in the rush to make higher profits. That would make Wall Street happy, of course, and Burnham cared about profits, too. But he felt, and his whole tenure had been based on the belief, that corporations must look beyond shareholders -- to communities, employees and society. These stakeholders deserved equal consideration. Sell appliances, and it would show that Westinghouse was shedding its egalitarian philosophy. But the brand-name major appliance group had been a marginal performer for years. It wasn't covering its cost of capital and it was slipping into the red. Several directors were pressing Burnham. Get out while you can get a good price. It was late 1972. Burnham held them off to study the options one more time. The issue was clear-cut: General Electric controlled about 40 percent of the major appliance market -- washers, dryers, refrigerators. Whirlpool and Sears had another 30 percent. A handful of others, including Frigidaire, Westinghouse and White Consolidated Industries, divided the rest. Westinghouse could improve the business's financial standing by boosting efficiency and lowering costs. 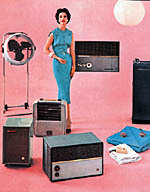 Its appliance plants were old and outdated. But what it really needed was more market share -- and that meant buying a competitor. Fat chance of getting that past the antitrust regulators, who had been a thorn in the corporation's side for as long as Burnham could remember. It was frustrating. The engineer-tinkerer in Burnham knew that Westinghouse had the best technology. Everyone in the industry knew it. Westinghouse always had the best technology. Take its front-loading washers. They used less soap and water yet got clothes cleaner than the more popular top-loading models. If the public could be made to understand the advantages, surely they would go with Westinghouse. But with just a 7 percent market share, Westinghouse couldn't advertise enough to offset the dominance of its bigger rivals, who could spread their costs over a much larger base of sales, giving them a built-in cost advantage. Westinghouse considered investing $73 million to upgrade its plants, but that would only lower the cost differential with GE, not eliminate it. It was getting too late anyway. By 1974, the nation was entering a deep recession. Appliance sales were soft. Losses mounted. And after peaking at almost $200 million in 1972, Westinghouse's earnings were going south, too. He'd sell major appliances to White Consolidated -- at an after-tax loss of $55 million. He probably could have saved more money just closing the operation, which employed almost 10,000, the bulk in three Ohio plants. But that would have cost jobs, and he felt a responsibility to the workers. "It was hard for me," Burnham says. "I didn't want to shut it down." It would be the last significant act of his 11 years at the helm. Toward the end, he began to realize Westinghouse perhaps tried too hard to be all things to all people. But Westinghouse had needed to grow. Its sales had been stuck in the $2 billion-a-year range for nearly a decade when he took over. Burnham, whose glasses, balding head and earnest grin made him look more like a friendly scientist than a hard-nosed chief executive, also believed he owed it to his workers to make the company grow. Sure, Burnham understood the business of business was to make money. But he also felt a corporation had a responsibility to be a good employer. By expanding, Westinghouse could provide more jobs. George Westinghouse would have been proud. The company's founder and namesake was ahead of his time, instituting employee-friendly policies like half-days off on Saturdays and disability pay. A year after his death, the company became one of the first in the country to offer a pension. Burnham was simply carrying on the benevolent tradition. "The thing I liked best is I provided good jobs for many thousands of people, and I did that while, most of the time, also making money," Burnham says. "After I retired, everybody got this craze -- what are we doing for the stockholders? "I put employees on the equal status of stockholders," he says. "The succeeding people focused more on return on investment. I guess the philosophy was, 'If it doesn't come up to corporate profit standards, you get out.'" Burnham expanded Westinghouse's already renowned research laboratory in Churchill, a perennial leader in patents and home to one of the largest concentrations of Ph.D.'s in the world. And he entered diverse fields, from rapid transit and soft-drink bottling to rental cars and Florida land development. Westinghouse's Coral Springs and Pelican Bay resorts, on Florida's Atlantic and Gulf coasts, are among the wealthiest communities in the country. Pelican Bay, near Naples, is a retirement mecca for Westinghouse chairmen -- all of Burnham's successors except Michael Jordan have luxurious residences in the sun-splashed, white-washed, palm tree-lined coastal development: Robert Kirby, Douglas Danforth, John Marous and Paul Lego. A staunch Presbyterian and deeply religious man, Burnham also answered a higher calling. Prodded by his engineering background, which viewed technology as a tool for positive change -- and by his conviction a company could make money and do good -- Burnham launched broad initiatives to address global needs. 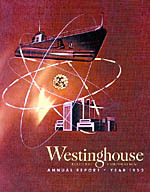 Westinghouse built affordable housing and desalinization plants, which turned sea water into drinking water; developed educational laboratories and resources to assist teaching and training; and explored the depths of the oceans in a search for more food for a hungry planet. 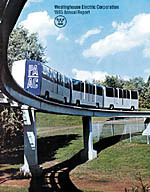 It also toyed with electric cars. On the power front, Westinghouse stepped up nuclear plant development, not only to grow, but also because it was convinced the atom represented the cheapest, most environmentally responsible way to meet global demand for more energy. It was still a time when atomic power was viewed with a mixture of awe and respect by the public. 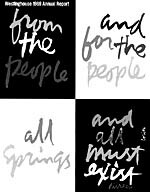 Quoting from British statesman Benjamin Disraeli, the cover of Westinghouse's 1969 annual report reflected the melding of its social and fiscal missions: "From the people and for the people, all springs, and all must exist." By the end of Burnham's tenure, Westinghouse's societal endeavors had given way to harsh fiscal realities. It pulled out of all of them. It was starting to scale back in other areas, too, shedding a half-dozen businesses in all. It was the start of a back-to-basics, enhance-shareholder-value movement that would accelerate under Kirby, and explode under Danforth. But it's the loss of appliances that still hurts Burnham. It was his dream that Westinghouse be an end-to-end supplier, a company that made the power plants, circuit breakers and transformers that brought electricity to the home, and the dishwashers, stoves, TVs, radios, air conditioners, furnaces, lamps and lights that consumed it. Despite a somewhat miserable last few years, Burnham felt good about the Westinghouse he was passing on. Its balance sheet was strong. Even with the divestitures, its sales almost tripled during his years, to $6 billion. And its employment nearly doubled to 199,000. There was some concern about fast-rising uranium prices and supply contracts Westinghouse had with its utility customers. But it wasn't apparent it would be a serious issue. Ends up it was a ticking time bomb. And it would explode just months after Burnham left.